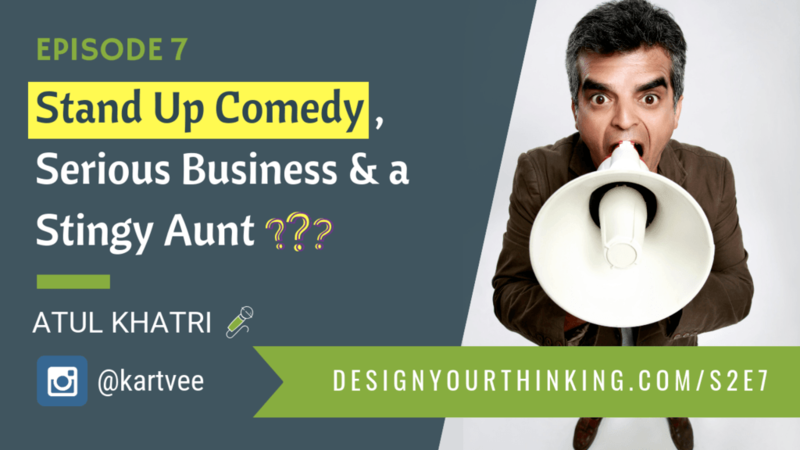 ﻿ In this episode of The Design Your Thinking Podcast I sit down with one of India’s top comedians, Atul Khatri to talk about the serious business of Stand Up Comedy, his learnings from transitioning from being a businessman to a stand up comedian, and the back stories that make him unique (including his training approach for a million dollars!). Atul Khatri is a Indian businessman who got up late in life and decided to do English Stand-up comedy so that he could tick it off his bucket list. He is an Indian Computer Engineer and a British Management Scholar who always orders soup one-by-two even when he is eating alone. CNN-IBN rated him as one of the top 20 Comedians in India to watch out for. He also won the ‘CEOS GOT TALENT’ trophy competing against 11 other CEOs in 2014. Why Should You Listen to Atul Khatri? He transitioned his career from being a CEO of his IT business to becoming a Stand Up Comedian in his mid-40s. 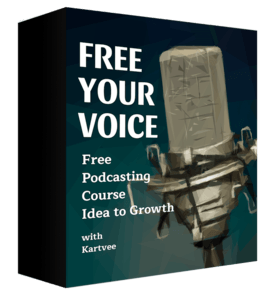 Atul Khatri shares a ton of lessons that will directly help you in your career and life – no matter what profession you are in. I actually tempt Atul to outline his training approach if he were to teach me to become a stand up comedian. Why did you quit being a CEO? How do you describe yourself today? What did you do between the facebook post and first open mic? What was the joke you did on your first open mic? 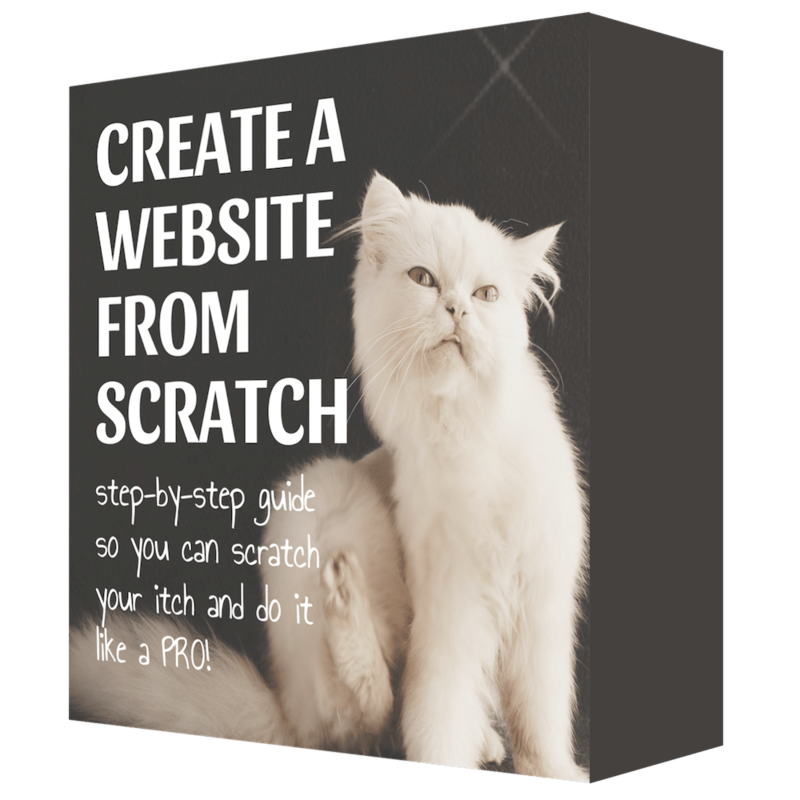 What did you learn/unlearn in transitioning from entrepreneur to solopreneur? Where do you stand – orthodox or unorthodox? How much of a role has your family played? How much of a reverse influence you had while you were a CEO? How has your Public speaking improved with Standup comedy. What are some of the biggest mistakes you’ve seen wannabe standup-comedians do? What’s been the worst mistake you’ve done thus far? How would you teach me to become a standup-comedian? The audio takes a narrative style to walk though many of the key topics (from previous section). 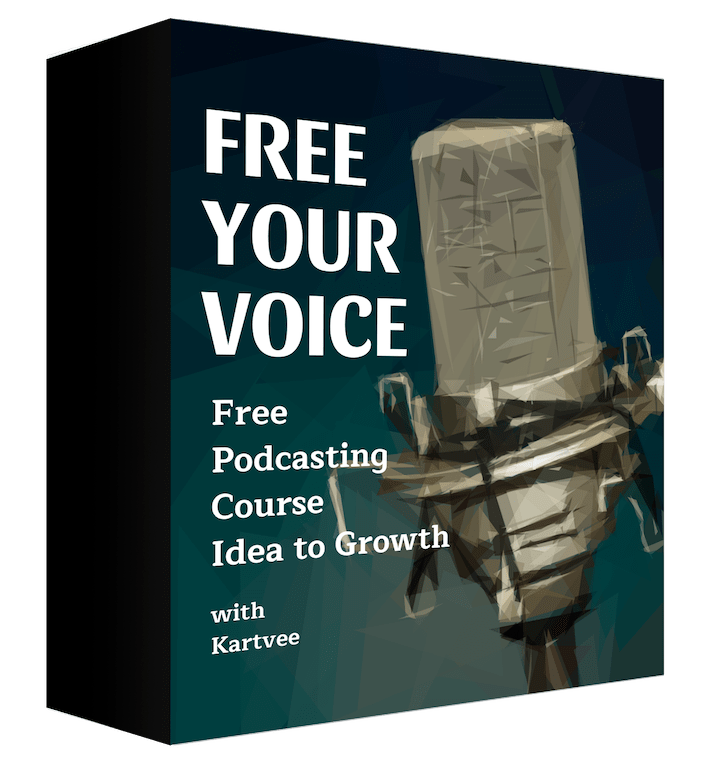 How to Get In Touch with Atul Khatri? 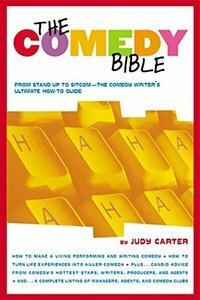 Atul Khatri recommends reading this book, if you are interested in venturing into Stand Up Comedy.